Research on regular users of low-calorie sweeteners has found they have better diets than nonusers. If that isn’t incentive to use them, I don’t know what is! Of course, adding a low-calorie sweetener to your coffee isn’t all it takes to become healthy and thin, but studies show it can be part of a healthy lifestyle for many people and helps them reach their goals. And that’s exactly what the latest study by researchers Adam Drewnowski and Colin Rehm at the University of Washington found. In their study, they went back 10 years to see peoples’ weight histories and their intent, or motivation, to lose weight during that time. What they found is the use of low-calorie sweeteners was common among people who were experiencing weight fluctuations and who were trying to return to a lower weight. In fact, nearly one-third of adults trying to lose or maintain weight used low-calorie sweetened products. As anyone who has lost weight knows, it is easy to regain. When that starts to happen, there is a tendency to resume the weight loss strategies that helped in the past, like using low-calorie sweeteners. Even people experiencing weight gain for the first time and those with the early warning signs of diabetes may decide to use low-calorie sweeteners as a first step to reduce their caloric intake or added sugars in their diet. In both these examples, the low-calorie sweetener was selected after the problem of weight gain or prediabetes was identified, not the other way around. Here’s how the study was done. Information was collected from more than 22,000 adults about their use of low-calorie sweeteners in the past 24 hours, their intent to lose or maintain weight over the past 12 months and their 10-year weight history. Height and weight records were used to classify the participants as normal weight, overweight or obese during the period under investigation and a questionnaire was completed to determine if they had been diagnosed with diabetes. What the researchers found was the use of low-calorie sweeteners was associated with self-reported intention to lose weight during the previous 12 months, indicating it was a strategy being selected to help with weight loss. They also found those who reported they were trying to lose or maintain weight during the past 12 months were much more likely to use low-calorie sweeteners, and this was true for participants at any weight, not just those who were overweight or obese. This finding provides the strongest evidence yet that low-calorie sweeteners do not cause weight gain, but are chosen to help prevent it. They also found those who reported they were trying to lose or maintain weight during the past 12 months were much more likely to use low-calorie sweeteners. A final conclusion drawn from this research, based on the analysis of the 10-year weight change data, is that obese individuals may have switched to diet beverages made with low-calorie sweeteners after they gained weight. This supports the possibility that use of low-calorie sweeteners may be a useful “marker” to identify people have experienced weight gain and are trying to reduce it. We now have better evidence than ever that low-calorie sweeteners are deliberately chosen by individuals as a weight management strategy and do not contribute to weight gain. Using low-calorie sweeteners in place of sugar is a simple step anyone can take to help reduce their caloric intake as part of a healthy lifestyle. This blog was originally written for Aspartame.org. You can read that post here. The global population is aging at a faster rate than ever before in human history. Right now the number of people throughout the world over the age of 65 makes up 8.5 percent of the total population, or 671 million people according to International Population Reports. That number is projected to jump to 1,566 million people by the 2050, making 16.7 percent of the world’s population over 65 years of age! If you’re wondering what this has to do with aspartame and other no- and low-calorie sweeteners, there is a connection. Knowing you may live well into your 80s or 90s can provide the motivation for living better now to extend the quality of your life as you get older. That’s where aspartame can help. Knowing low-calorie sweeteners can support weight management is significant because, along with getting older, the World Health Organization reports we are also getting heavier. In fact, obesity has more than doubled in the global population since 1980. Today overweight and obesity are the leading risk factors for noncommunicable diseases such as heart disease, stroke, diabetes and some cancers and are now linked to more deaths worldwide than being underweight. If you want to prevent the chronic diseases that can strip away independence as you age, achieving a healthy body weight is one of the most important steps you can take. Using aspartame in place of sugar can help by providing a sweet taste to foods and beverages with few or no calories. And it can be used by the entire family, not just those trying to lose weight, although any unintended weight loss should always be brought to the attention of your physician. Aspartame is not a drug and, therefore, cannot produce weight loss without making other behavior changes, but it can be a valuable tool in maintaining a balanced and satisfying diet — and that can add more healthy and happy years to your life. The safety of aspartame has been rigorously monitored by food safety experts since it was first approved for use as a food additive more than three decades ago. New research from human and animal studies is regularly evaluated along with the existing body of evidence to determine any potential risk to the population at current levels of exposure or Acceptable Daily Intake (ADI). The experts report aspartame does not cause damage to the genes or induce cancer, does not harm the brain or nervous system, and does not affect behavior or cognitive function in children or adults. They also have found no risk to the developing fetus from its use during pregnancy at the current ADI levels (except in women suffering from PKU). Regulatory agencies representing more than 90 countries have conducted their own reviews of the scientific literature on aspartame and approved its use for their populations. This list includes the United States, Canada, the member countries of the European Food Safety Authority (EFSA), France, Australia, New Zealand and Brazil. In 2013 the EFSA re-issued a Scientific Opinion on the safety of aspartame as a food additive and again concluded it was not a safety concern based on current exposure estimates and there was no reason to revise the ADI of 40mg/kg body weight per day. It is reassuring to know there is a consensus among so many experts about the safety of aspartame, especially when conflicting reports from single studies hit the news. Living well into our nineties is a big enough challenge without having to worry about that! It seems every food and drink is celebrated with its own day on the calendar and coffee is no exception. September 29th is designated National Coffee Day and there are sure to be plenty of people raising a mug to honor the occasion since 83 percent of American adults claim they drink coffee – and it’s not just one cup – a according to the National Coffee Association. American coffee drinkers average three 8-ounce cups per day adding up to a total of 146 billion cups per year making the United States the biggest consumer of coffee in the world! For regular coffee drinkers, placing an order or fixing a cup at home or work is typically done on “auto pilot” thanks to well-worn habits. These are behaviors that help us get through the day without having to make conscious decisions about everything we do. We develop habits after repeating a behavior so many times it becomes an automatic response to a situation. Whether a habit is a good one or bad one, it’s going to be pretty consistent. If you like your coffee sweet, that can mean you’re consuming a lot more sugar than you realize. Data from the National Health and Nutrition Examination found sweetened coffee and tea beverages contribute 7 percent of the added sugars consumed by Americans adults. A woman adding just one teaspoon of sugar to her three cups of coffee each day would be getting half of the 6 teaspoons of sugar per day recommended by the American Heart Association. Sugar isn’t the only way we sweeten our coffee. The average “pump” of flavored coffee syrup is equivalent to 1 ½ teaspoons of sugar, and most specialty drinks have three or four pumps. Non-dairy creamers can also be a source of added sugars along with milk substitutes, such as almond, coconut and soymilk. Check the ingredient list on the products you use to see if they contain sugar, corn syrup or other caloric sweeteners. You may be surprised to find your favorite “creamer” is not only whitening your brew, but is sweetening it, too. Adopting some new habits for how you order or fix your coffee can lead to big reductions in both added sugar and unwanted calories. If you start on National Coffee Day by replacing 3 teaspoons of sugar with a sugar substitute every day you’ll have eliminated 1,092 teaspoons of sugar by this time next year or nearly 10 pounds of sugar and over 15,400 calories! 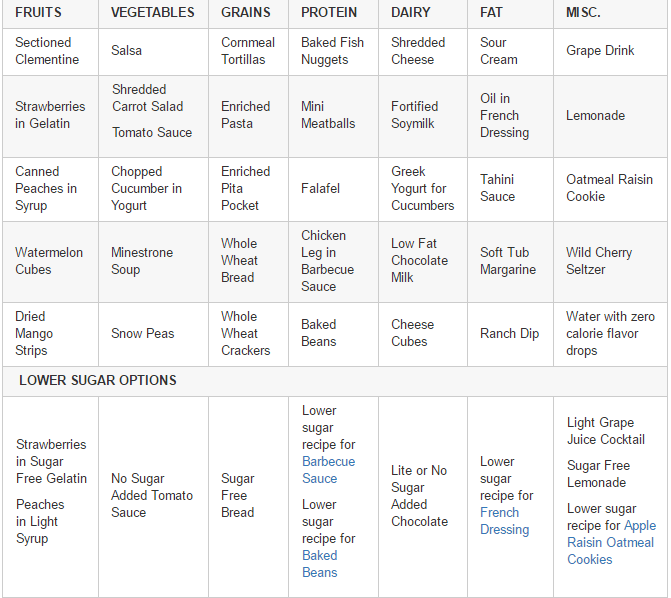 The more changes you make the more calories and added sugar you can eliminate. Here are six healthy habits that will help get you started cutting down on added sugar while still enjoying your coffee sweet every day of the year. Ask for just a spoonful of whipped cream rather than the full cap that traditionally covers the cup.